The Vesta Marble warehouse. At left, a portion of the water recovery system. 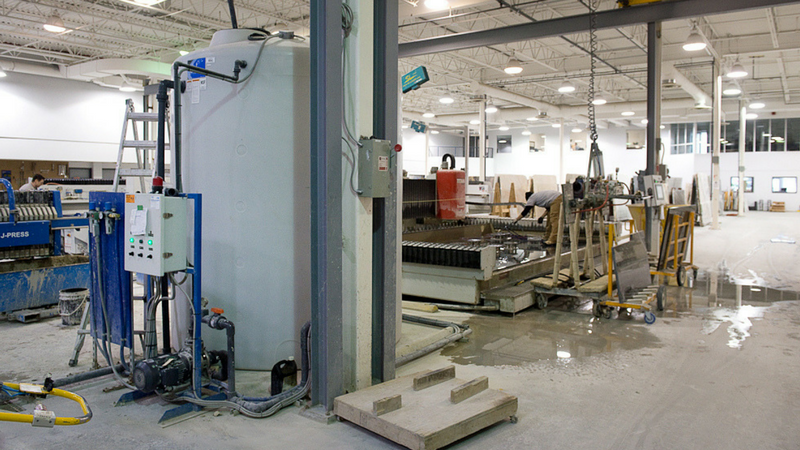 In the back, Vesta’s water jet CNC machine.